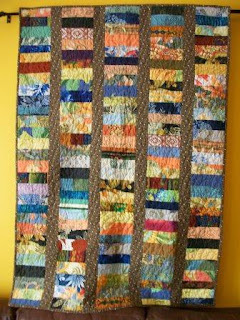 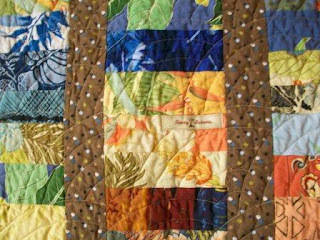 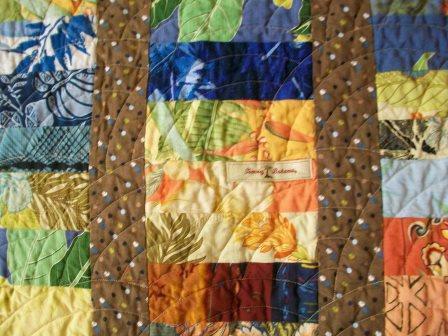 This scrappy coin quilt is machine pieced and quilted. It measures approx 37 in X 52.5 in. 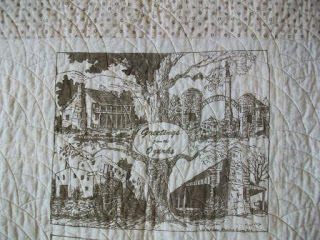 I donated it to the Alzheimer Quilt Project. 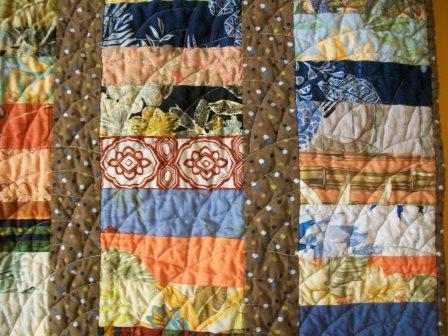 These next two photos show some of the fabrics used. 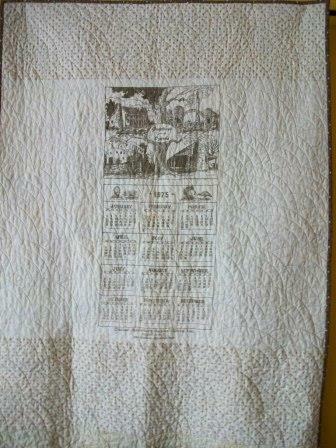 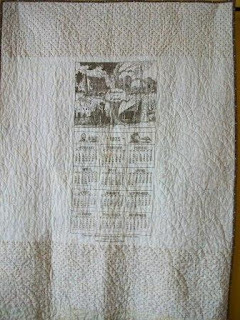 The back is pieced featuring an old fabric calendar from 1975.